The NewsLine: Do you look old? Check the answer. Do you look old? Check the answer. Face.com’s facial recognition enables apps to determine how old a user looks. Every summer, there are various travelling carnivals and exhibitions and most of them have a game where the carny tries to guess a patron’s age and/or weight. If their guess is off by a certain amount, the patron wins some sort of prize. Back in March, Rhonda wrote about how Google was estimating users’ ages based upon their web searches, with varying success. 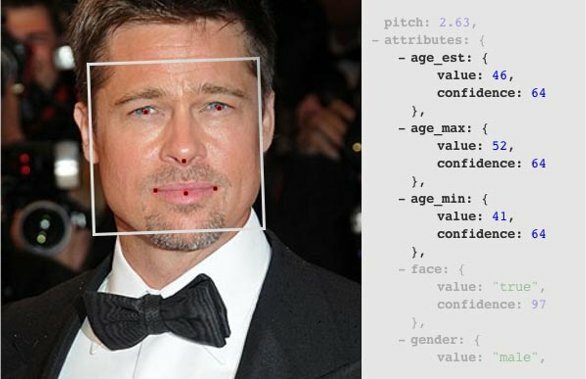 Now, Face.com is releasing a tool that will allow application developers to use its facial detection algorithms to determine the age of person in a photo. The tool gives a “minimum” age, “maximum” age and estimated age. It works by taking measurements of a person’s face and looking at distances between facial features such as eyes, nose, ears, and other elements – facial structures that change as human beings age. It also takes into account wrinkles, skin conditions and other factors. It should be noted that the tool determines how old a face looks and not necessarily how old the person in. If you’ve spent too much time in the sun or a long-time smoker, this will probably show in the estimate. There are many uses for a tool that can automatically determine a user’s age and Face.com touts possible uses such as age verification before a child can use Netflix or other age-sensitive content. Other uses include targeted ads based on a passerby’s age. For those concerned with users trying to fool the system with a photo, facial recognition in live systems uses light and shadow and other methods to ensure that the person picture is alive. Samsung, for example, on their Android face unlock, requires users to blink. If you’ve got an iOS device, check out Age Meter to see the algorithm in use and report back on how accurate it was!